Infuse your skin with moisture and restore elasticity for a young, healthy glow. This dramatically lightweight dry oil body spray is formulated with nourishing oils of Shea Butter, Sesame, Avocado and Sunflower to help smooth and hydrate. Rich botanical extracts of Chamomile, Lavender, Melissa and Passion Flower help repair skin’s moisture barrier and keep skin radiant and supple. 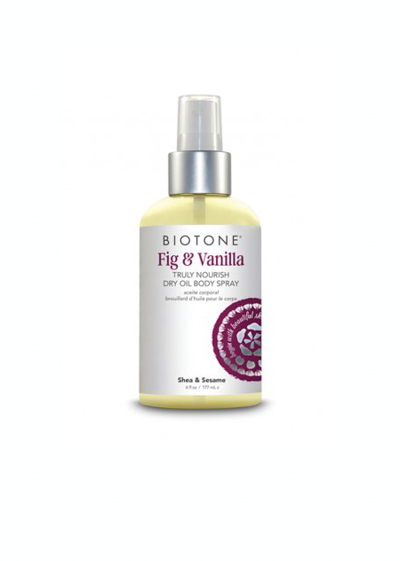 Warming aromas of Fig & Vanilla enhance the senses. Use daily.